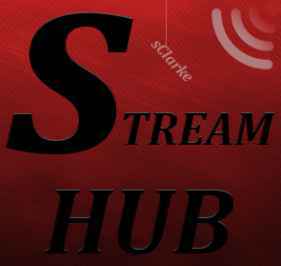 Stream army kodi repo has very few addons. It cant be called as a repository. It’s just a sub-repository in the name of the repository. It has 4 video addons which include Nemesis, Mighty red, Sports world and real movies. Real movies is a good video addon to watch 3D movies. Unlike other addons it has a special category for 3D movies. Select settings icon from the top left corner of your kodi device. In the settings menu, Select File manager. In the next window double click on Add source. Select None from the add source manager. Enter any name in the media source text box. Select ok.
Navigate back to your home screen, Select Addons from the left pane. Now select the package installer icon. From the list of options select, install from Zip file. Select the name you had given. Select stream army repo zip file. The version number is not an issue. wait for some time you will receive a successful installation notification. Select Stream army repo from the list. Select any addon from the list. Click on install from the addon information page. now open the addon by clicking on the name of the addon. Select open. It is one of the popular sports addon to watch live sports. It is providing totally live feed of 11 sports which includes Soccer, American football, rugby, Tennis, Boxing, NBA, Baseball, Golf, cricket, wrestling, UFC. It is providing a full time live and highlights section. Other than this it also streaming some sports channel. If you are a sports lover then this is a must install addon for you. From the name itself, we can say its an addon to watch movies. The best part is it can stream a high-quality movie at a moderate speed. Some user might have less bandwidth. during that time this addon is a lifesaver. It also has 3D movies, 4K movies, True story movies category with a custom search options.